Complement your outfit with these beautiful pair of diamond earrings from Eva. Featuring a 84 pieces round cut diamond with 0.59ct, set in 18K white gold. It is secured with hinged snap closure. 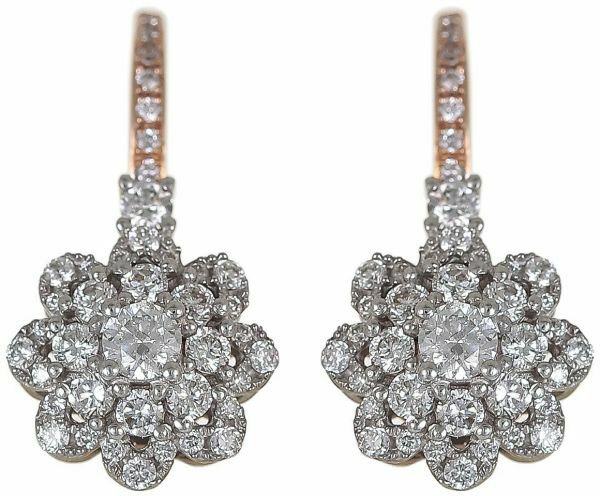 Diamond earrings are an everlasting expression of your affection. This item has been made with natural gemstones. Please allow for slight variances in clarity and color.